Some males simply require a small additional push-to enhance hunger and endurance endurance and their sexual hunger. https://viagradirect.net/cialis-australia.html is extremely common. Thanks again to Dark-light.us for the finding. Tracey Cox (General Manager of AB Cox Pontiac Buick) has released her new book “The Successful Rebel: Getting What You Want Without Loosing Who You Are”. So what does this have to do with HIM? Well, Ville Valo was one of the “Successful Rebels” interviewed for her book. For more information visit the website. If you can’t wait to read it, then you can buy it now at amazon.com or amazon.co.uk (ships to most of Europe). 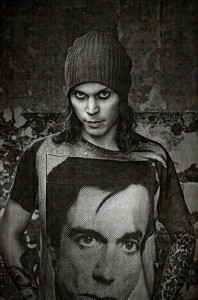 Ville tells us about his sleeve tattoo, his Poe back tattoo, the (recently erased) “J” tattoo and more.